EAGLE GROVE — Sharon Kay Biondahl Coltvet, 78, passed away at the Paula J. Baber Hospice Home on Monday, November 5 after an 18-year battle with Alzheimer’s disease. Sharon was born on May 2, 1940 at the University of Iowa Hospital to parents Manly and Margaret Biondahl. Sharon met her husband, Arnold “Tony” Coltvet, at Eagle Grove High School where they were classmates. They were married on August 12, 1962. They spent 56 years together and raised their three children Jeff, Tim and Rick. 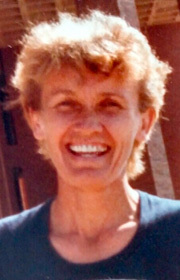 Sharon attended and completed her undergraduate studies at Drake University in 1964, and later received a Master’s degree in 1995 from the University of Northern Iowa. Sharon’s lifelong passion was teaching children. She started her teaching at Jefferson for two years and then spent the rest of her career teaching in the Eagle Grove school system. The encouragement and love she extended to every student during her 32-year teaching career left such a long-lasting impression, that many chose to keep in contact her for years after they left her classroom. Sharon was a lifelong Iowa native other than re-locating to Greeley, Colorado for three years until Tony finished his PHD in 1970. She enjoyed travelling on vacation with her family to many beautiful places in the U.S. and spent many summers in Estes Park, Colorado with family. She also enjoyed international travel to locations such as Greece, Norway, Crete, Swaziland and Mozambique for missionary projects with the Children’s Cup. Sharon had a love for running, hiking, and biking. She ran in many 10K races, biked RAGBRAI in 1974 and even completed the Drake Marathon in 1978. She shared her adventurous spirit with her family and friends and passed it on to her three children. All who knew Sharon found her to be loving, kind, empathetic, intelligent, fair and humorous. Her husband, children, grandchildren cherished these attributes of Sharon and so did her many students, friends, and anyone else she encountered. Sharon is survived by her husband, Arnold “Tony” Coltvet, and her siblings Pauline Tomlinson and Joe Biondahl. She leaves behind three children, Jeff (Monica) Coltvet, Tim (Cheryl) Coltvet, and Rick (Jennifer) Coltvet and her seven grandchildren: Carly (20), Elyssa (18), Cassie (18), Sophie (17), Luke (15), Tess (15) and Tanner (15). Sharon is preceded by her parents, Manly and Margaret Biondahl, and by her younger sister Joan Jenkins. A visitation will be held at Foust Funeral Home (103 N Cadwell Ave) on November 9 from 4 to 7 p.m., and the funeral service will be held on Saturday at 10 a.m. at Grace Evangelical Church at 1220 S. Commercial Ave., Eagle Grove, IA.